The Scottish Tenant Association is appealing to the Scottish Government for assistance in tackling the looming fodder crisis in the livestock sector which has occurred as a consequence of the continuing drought and hot weather. In a letter to Cab Sec Fergus Ewing, STFA has said that with grass becoming increasingly scarce on most farms there are major concerns about maintaining grazing livestock and providing sufficient fodder for the winter months. Not only are fodder crops lighter than usual, but many farmers are being forced to graze silage fields and some are already eating into winter feed stores to keep stock going. STFA has requested an early meeting with the Cab. Sec. to discuss ways to help the livestock sector weather the next few months, especially with the uncertainties surrounding Brexit looming next Spring. Commenting on the situation STFA Chairman Christopher Nicholson said: “The picture being painted from Shetland to Wigtownshire is one of an impending crisis with grass growth at a virtual standstill, despite some welcome rain last week, and hay and silage crops between half and two thirds of normal. Dairy farmers are having to eat into winter silage rations, buy whole crop silage or face drying off or selling cows to maintain production. The grass shortage has hit cattle markets and the autumn store lamb sales face uncertain trade. “Traditionally, in times of fodder scarcity, we were able to utilise arable by-products such as straw, carrots potatoes etc and supplement with concentrates or distillery by products such as draff and pot ale syrup. These alternative feeds are now difficult and prohibitively expensive to source; draff is in short supply for a number of reasons, straw also looks like being equally scarce and, as we have stated before, the situation is being exacerbated by tens of thousands of acres of crop as well as tons of distillery by-products being diverted towards the renewable energy sector in supplying AD plants and biomass boilers. “AD plants are also suffering from lighter than expected rye crops and are in competition in in the fodder market with livestock producers who they will invariably outbid. STFA is worried that that this situation will either lead to welfare issues in the coming months or to financial difficulties as producers are forced to off load stock onto a falling market. Even if we get sufficient rain to get crops moving again over the next few weeks, it will be too late to fill feedstores. Drought is also evident in other countries so importing feedstuffs may not be an option even if it were affordable. “STFA will be meeting Fergus Ewing at the Black Isle Show to discuss what measures could be taken to ensure that provision is for adequate food supplies to take our livestock, particularly breeding livestock, through the coming weeks and over the winter. We are entering a crisis situation and the government will have to intervene if we are not going to find irreparable damage done to the Scottish livestock, especially with the possibility of entering into a Brexit disaster zone in a few months’ time. 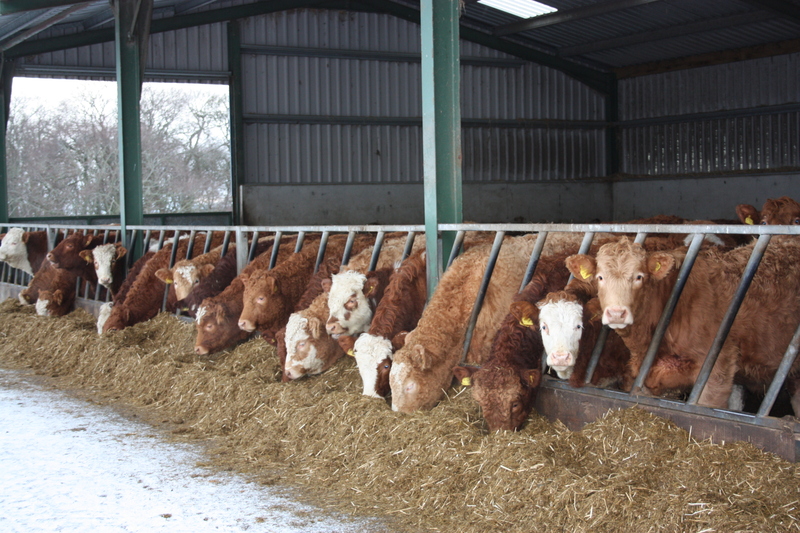 In particular STFA will be exploring ways of diverting feedstuffs from renewable energy towards the livestock market to preserve the future of livestock production in Scotland.